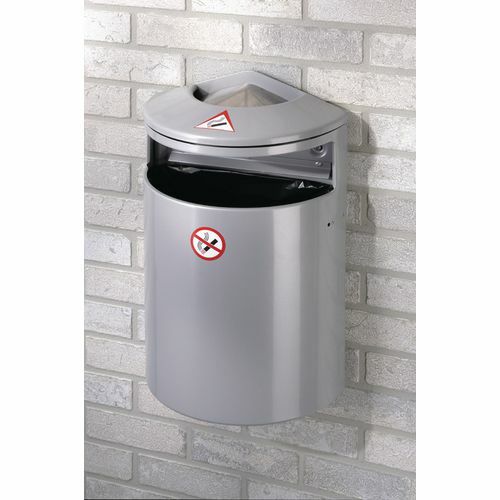 Combined ashtray and 13 litre waste paper bin. Steel construction, powder coated finish. H x W x D: 560 x 340 x 170mm.